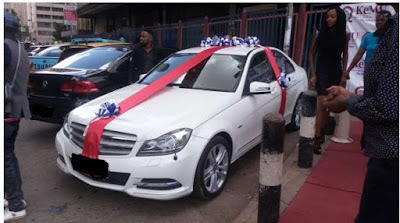 A beautiful young lady has shocked many, including her friends and colleagues, after buying a brand new Mercedes Benz car for her boyfriend as Valentine’s day gift. 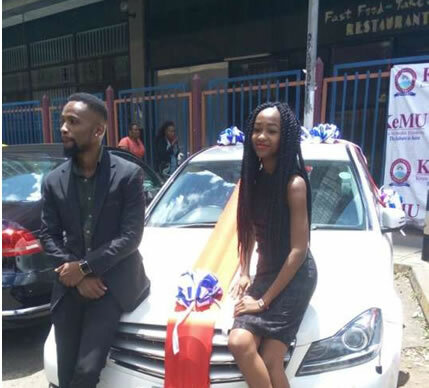 The 20-year-old Kenyan model and student of Kenya Methodist University identified as Fridah Kariuki bought the gift for her man as her gesture of love. 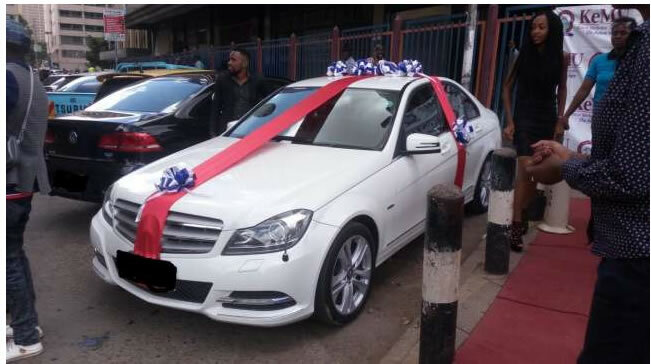 It was said that she took a loan from her father to buy her man a car he always wanted. They’ve been dating for the past four years and plan to get married. Their parents are supportive of their relationship.